Graphic design is one of the most in demand jobs these days. People from all walks of life are sharpening their skills for various graphic design fields in order to get a job. No doubt, this is the type of job that will allow you to express your creativity, to have fun while working and to earn enough money for you and for your love ones. But due to the demand of graphic designers, many people have ventured in the said field and the competition to get a job is getting higher. 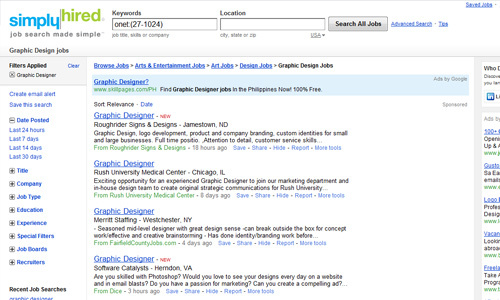 Even skilled designers find it stressful to find a job. So to help you, we will give you some tips on how to get graphic design jobs. This might make job hunting less stressful for you. Before anything else, it is very important for you to know yourself. You will find it hard to get a job if you haven’t tried to dig deeper into your own personality. Know what will motivate you. Know what will inspire you and where you can find it. Know your strengths and weaknesses. By doing that, you can easily turn your weaknesses into strengths. If you are faced with challenges, you will not easily fall down for you have known yourself and you already know what to do to help you get up. Knowing yourself is not enough. You also have to build confidence so that you will have that inner strength to face anything. 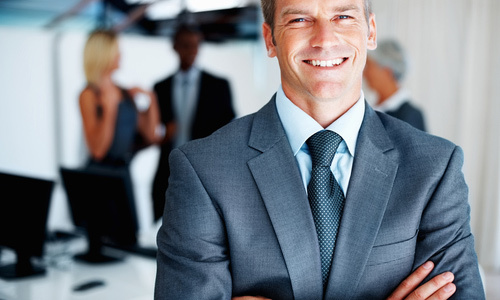 Having the self-confidence would allow you to harness and upgrade your skills. It will always help you to even discover more about yourself. You will be able to discover new skills that will even make you more qualified for a job. There are different graphic design jobs and you need to choose in what particular field you are really good at. For sure, you have loved one aspect first before you have learned the other fields in design. There would always be a field of specialization for every designer. Know what it is so that you will know the kind of job you want. After knowing your skills, you need to develop it. Do not just be contented that you have learned how to do something. Always be open for more learning. 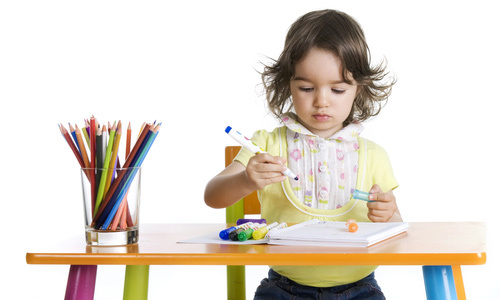 Know more of a particular skill until you are really good at it. After that, try to look for other skills and develop it, too. 5. Have a great portfolio. You would need a portfolio that could show your works. An employer would ask this from you whether you are applying a job online or offline. 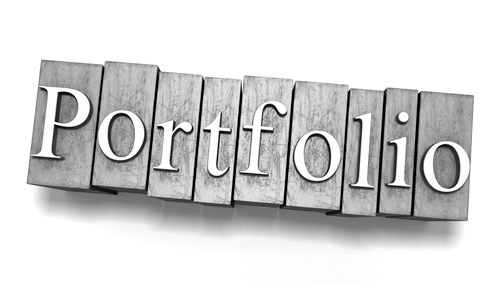 As a designer, you need to have both online and printed portfolio. This way, you wouldn’t find it hard to showcase your works whenever someone asks for. Also, a portfolio can even help you get a job. Someone might see it and be impressed with your works. Who knows, they might want to hire you for a job. 6. Have a killer resume. A portfolio would need a resume to support it. Your resume tells more about what you have done and who you are. 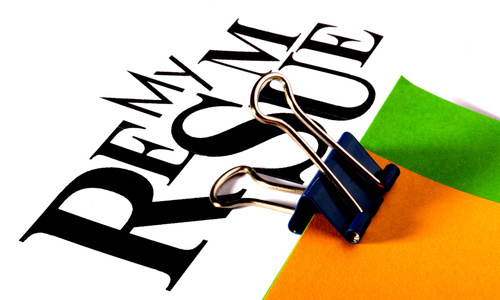 Your backgrounds will be seen in your resume and it can even tell what kind of person you are. You will need this to get a job for your prospect employer will surely ask for it. 7. Check out job boards. 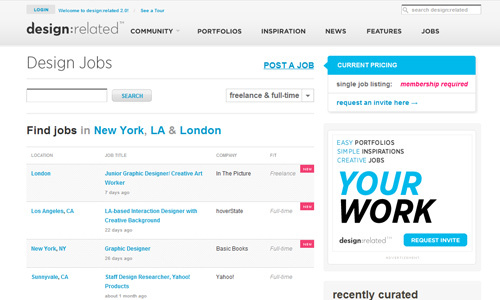 Job boards are websites that have various jobs you can choose from. Try to check websites that offer this kind of service. Choose the job wherein you are qualified and where you are confident that you can surely perform the requirements of the employer. You will find many opportunities in job boards. While waiting to get a job, you can spend your time blogging about your field of interest. It is not a short term manner to get a job but it is a long term answer to your job seeking problem. 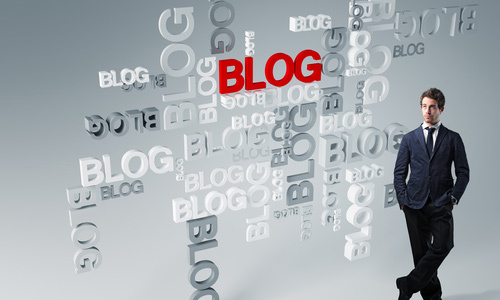 Share your expertise in the blog. For sure, people who read it will be impressed and might even come to you for some graphic design advices. Some of them will even ask for you to work for them. Others will recommend you to clients, too. 9. Place your name in the classifieds. Although, only few people opt to use these, you may still try it. You will lose nothing if you try your luck in classifieds. Employers might find you here and who knows, you might get the job you want through this. 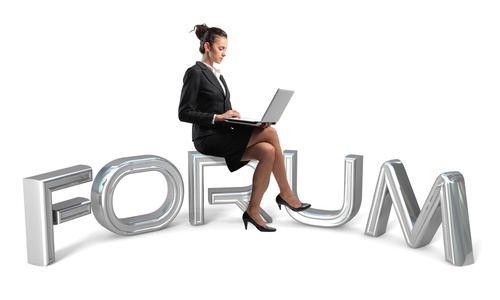 There are different graphic design forums online. Although it doesn’t directly give you a job, it is also a manner of sharing your expertise. Answer questions and share your ideas on a particular topic. This way, you will be known as a great designer. 11. Use social network sites. Social networking sites can also help you. There are even pages and accounts where they show some jobs that you can apply for. Also, make sure to have a good online reputation so that whenever employers look for your name online, you will have a good impression to them. 12. Check websites for jobs. There are many websites that help you find graphic design jobs. 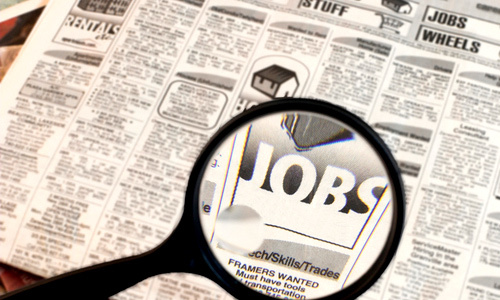 We will give you five of the best websites which could help you get a job. One of the best website where you can find a job. 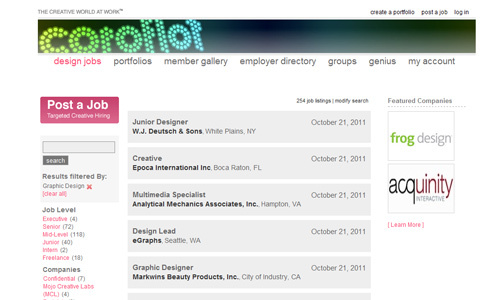 It hosts so many graphic design portfolios and has several job listings. You won’t find it hard to look for a job here for their jobs are well-organized in different categories. In Authentic Jobs, you will not only find jobs that are certainly authentic, but you will also find new jobs every week for they always update the jobs for both full –time and part-time. 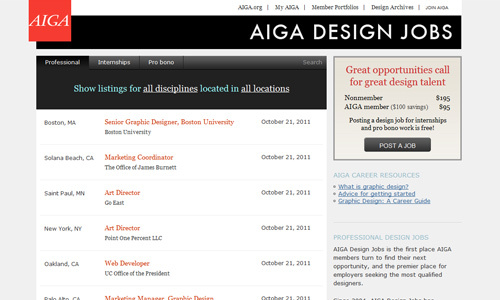 A great list of jobs for designers will be found here. With the variety of design jobs here, you can certainly find something that will suit your experience and qualifications. Large and respected companies trust this website to get experienced designers for them. You will find amazing jobs here that you will surely like. 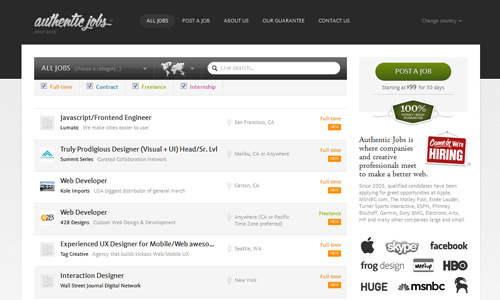 You will find design job listings from many websites here. 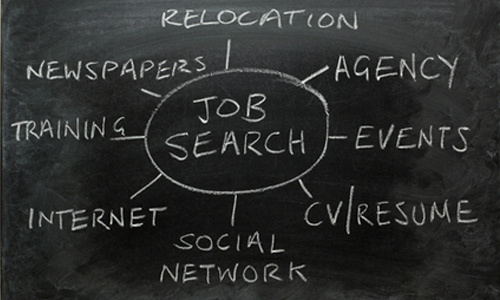 You can easily find a job through its filter options. While looking for a job, make sure that it matches your skills and creativity so that you can perform well when you get hired. Also, bear in mind that there are more challenges when you are chosen for an interview. You have to do well in interviews both online and offline so that you can get the job. But do not forget that what really matters is your job performance once you get hired. If you have other tips to add, feel free to add it here. There are just so many offers online. How can one be sure it’s a reliable one? Carl, i have been a victim of a client who does not pay. Make sure you read comment about your employer before taking the offer. Based on what we look for when hiring designers, the best advice I can offer – is get experience, I was looking to find candidates with loads of experience working with clients from a wide range of fields. Well Borat, find a site that you can mess with! And what do we have to do with your prostitute sister?? Get a life! Read this article and get a good job. Otherwise, leave this site alone coz this is only for those interested in professionalism and not prostitution. Understand? Marvi, help me to give a job on graphic design. Hi to all. This tips are great. It have a lot of helpfull tips to be used in order to find a job in the field of graphic designing..
i like your site, good job.